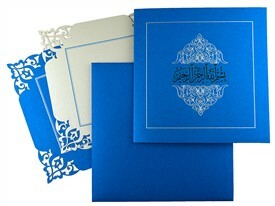 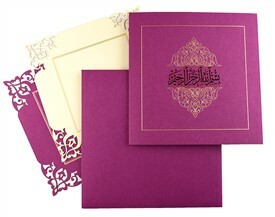 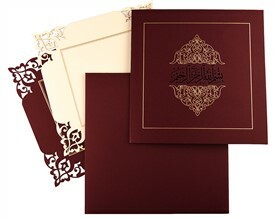 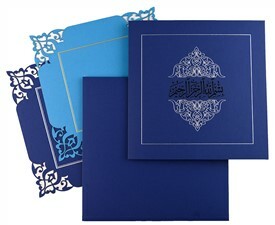 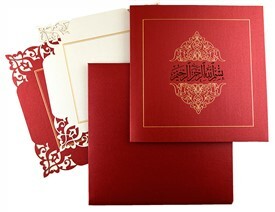 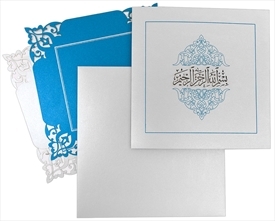 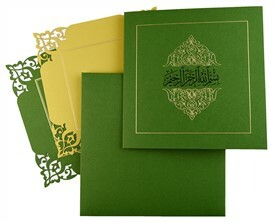 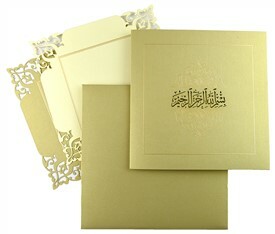 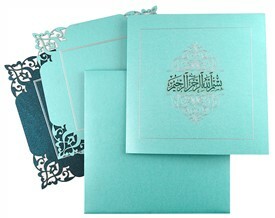 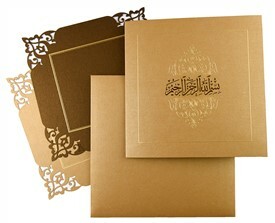 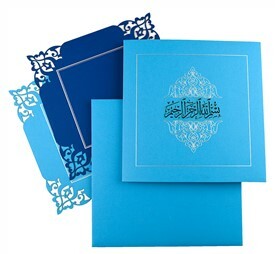 “Bismillah- Ir Rehman Ir Rahim” calligraphy symbol in laser cut sets up the main theme of the card. 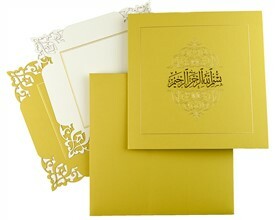 The symbol means “In the name of Allah- most gracious most compassionate”. 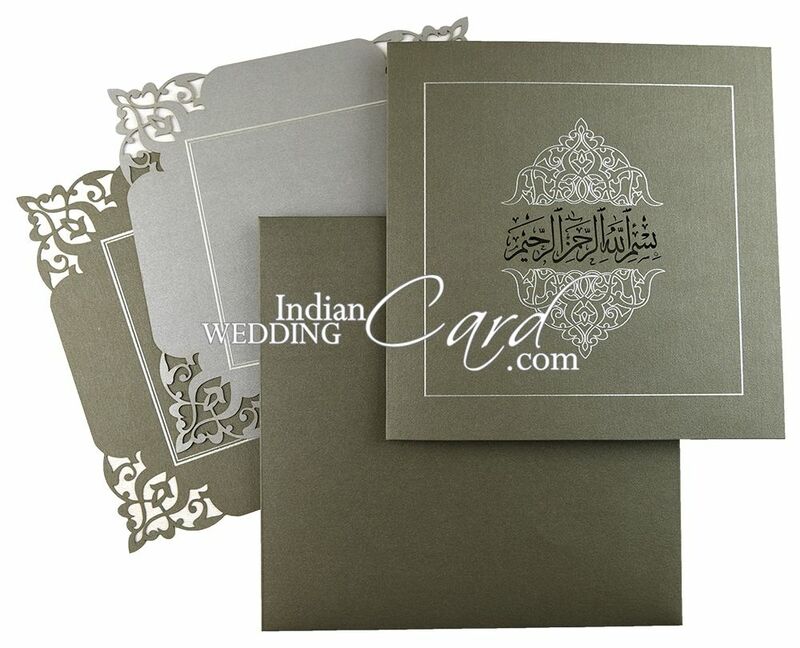 Silver arabesque pattern motif with silver outline adorns the main card. 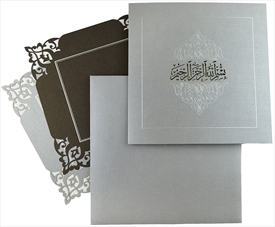 Inserts are also beautified with laser cutting. An exceptionally beautiful invitation! 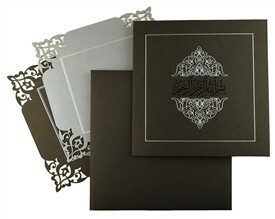 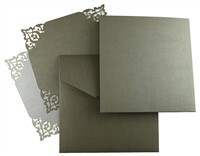 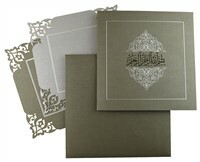 Grey shimmer paper (250 gsm) for main card, envelope and one insert. 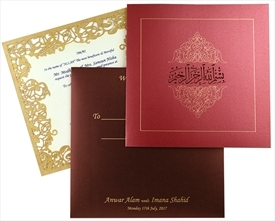 2nd insert in silver shimmer paper (280 gsm).